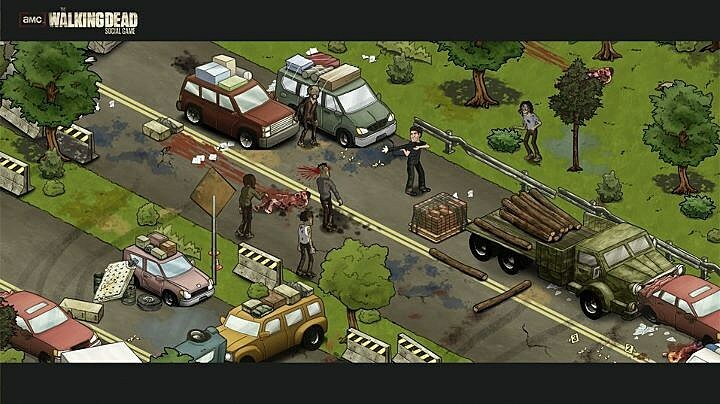 In an apparent bid to force humanity to confront the effects of habitual social networking via heavy-handed allegory, AMC has teamed with Eyes Wide Games for a Facebook game based on The Walking Dead. 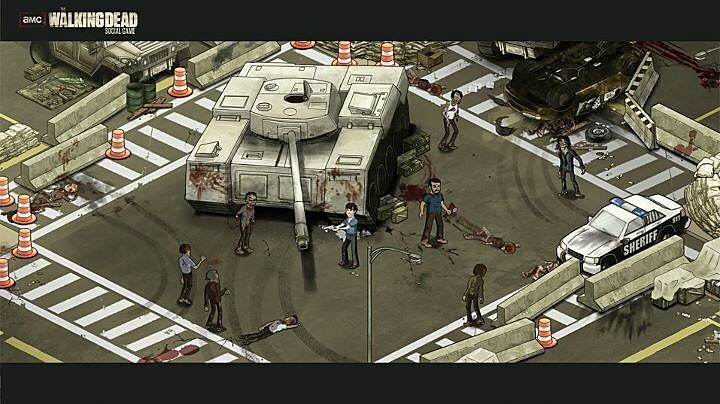 Appropriately dubbed, AMC's The Walking Dead Social Game, the free title will give players a chance to go on anti-Walker missions fueled by turn-based combat starting in April. Rooted in the TWD TV show continuity rather than Robert Kirkman, Tony Moore and Charlie Adlard's Image Comic, players can go on hundreds of "narrative driven quests" that take place in locations from the series/alongside characters from the show. 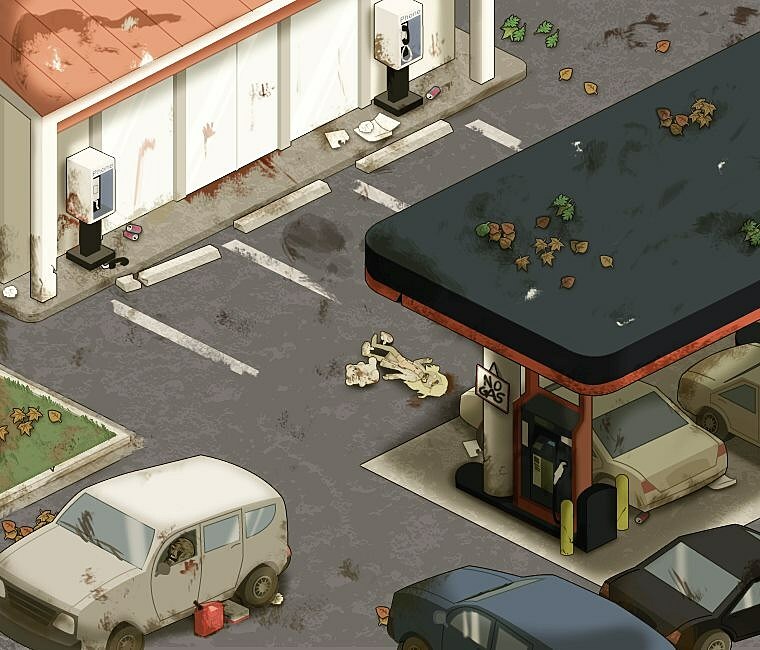 There will reportedly also be all-new places to see and zombies to kill. Underscoring the social aspect of the game's title is the fact that the game continues in real time even when players are logged off, meaning they'll count on their friends and other survivors to keep them safe from ceaseless zombie attacks. 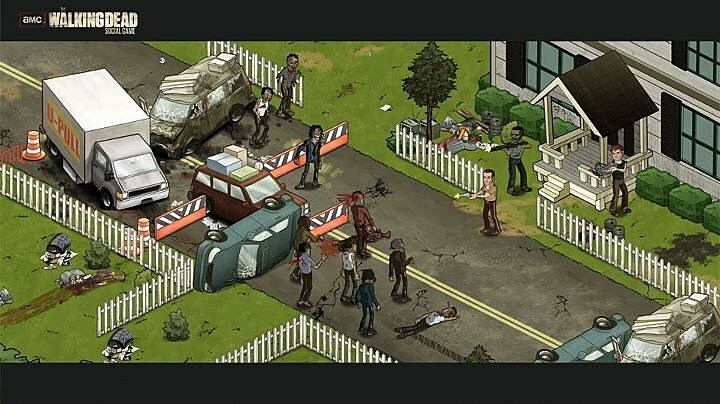 Even more socially horrifying, fallen friends may resurface as undead foes.AMC's The Walking Dead Social Game will debut in relatively close proximity to Telltale Games' more story-based TWD game, making this spring a bountiful time for ghoul-slaying. No word on whether the title will include in-game purchases of items and the like, although it's a pretty safe assumption.